project lombok is helper for bean. I tried STS in Windows and Mac, and Eclipse in Mac. Both are same ways to install. Need to match pom.xml and install IDE version. 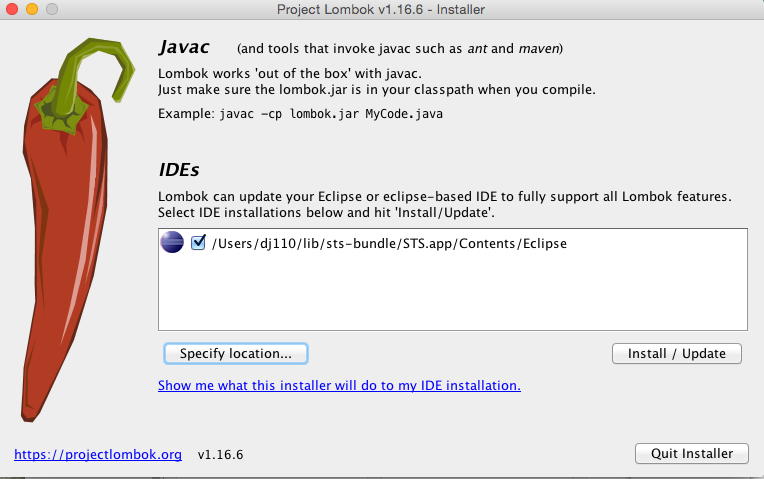 Please download or find your maven repository lombok.jar. 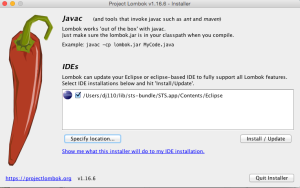 By default, IDEs item is not there. After finding it, press install/update. We can use setId without setter in SampleBean class.